Life is not black & white. Life is beautiful, messy, and sometimes horrific. It's full of darkness and light. Which brings me to searching for little things that are simple and bring me joy. Brooklyn Bean Roastery Black & White Cookie does just that it produces a pure and satisfying pleasure to my life daily. Enjoying a cup of coffee is a joy in such a complex world. I try not to watch the news because I become depressed. Since most of my work is online, I catch the news via social media. Last week I was heartbroken over the massacre in Las Vegas and the death of Tom Petty. All of these happenings set my anxiety off. When my anxiety is high, it's time to look for the simple things in life like coffee! Brooklyn Bean Roastery Black & White Cookie K-Cups are delicious and remind me of having a crispy chocolate and vanilla cookie. A cookie that you want to savor and eat slowly to take in all of the flavors. Black & White Cookie is not a sweet coffee which is perfect because you can sweeten it to your liking because using these K-cups you get to be the barista! A few months ago, I gave up my creamers and came up with my own which actually brings out the taste more in my coffee. Before, I would drown my coffee in the creamer. Now, I add a couple splashes of almond milk and sweeten with SweetLeaf Sweet Drops. Would I recommend Black & White Cookie? Yes, I would. This coffee will remind you of the simple things in life. Holding a warm cup of coffee in the morning is definitely a pure pleasure in a world of chaos. Brooklyn Bean Roastery Black & White Cookie is seasonal. Yes, you heard that correctly. So you might want to grab it today before they're gone for the season! 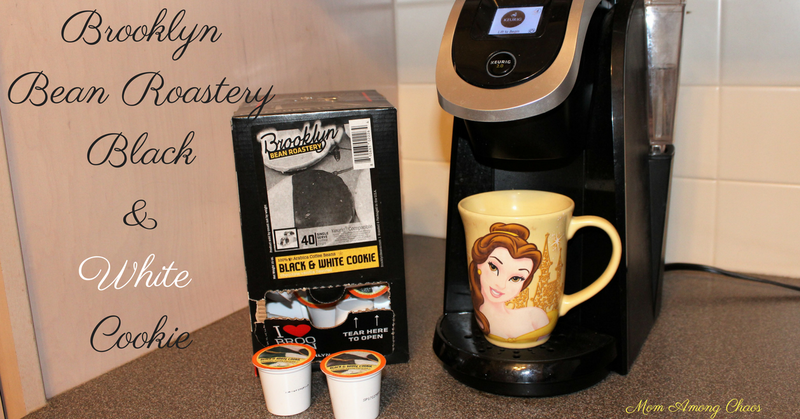 Enter to win a case of Black & White Cookie K-Cups!